I'm a member of a number of email loops, and one thing keeps cropping up. People use an email address that does not indicate who they are, then don't sign their post. It's frustrating to read a post that comes from "cutesylittlename at whatever server," find no signature at the bottom, and thus have no idea who's doing the posting. Maybe I want to send the person an individual email, but if that's the case, do I start off with "Dear To Whom It May Concern?" Then, of course, there are blog comments by the ubiquitous "Anonymous." I recognize that not everyone wants to create a profile in Blogger or whatever utility is in use. But at least sign your work. Of course, this is most often the case when someone leaves an inflammatory or negative comment on a post. Come on, folks. You're entitled to your opinion, but have the courtesy (if not the courage) to back it up with your identity. For those of you not familiar with Blogger, which is what I use to publish this blog, the owner has an option to pre-approve every comment before it's posted. I don't go that far, but I do reserve the right (also given me by Blogger) to delete a comment, once posted, when it's inflammatory or derogatory. To save you going back through the archives of this blog, this hasn't been the case here...yet. But I've seen it in other blogs, sometimes going so far as to make the blog owner decide to stop posting. I hope that has never happened to you. Okay, I've said my piece. Now it's your turn. Should blog owners pre-approve comments? Do you think it's okay to post an anonymous comment and not sign it? I'm waiting to hear your thoughts. 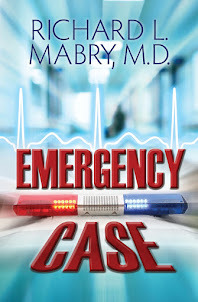 Note to my readers: I'm being interviewed today on her blog by Joy Hannabass, and you'll have a chance to win a copy of my latest book, Diagnosis Death, if you post a comment there. I'll be dropping by to respond to your comments, as well. Also you can get a sneak peak at Diagnosis Death today (May 31) on the romance writing site, RomCon. Hope you'll visit. I'm proud to have served my country. 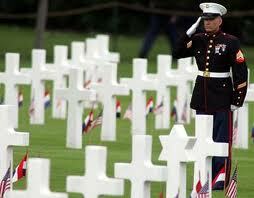 I salute my fellow comrades and honor those who gave the "last full measure of devotion" in that service. God bless America. "1) Get it edited. If you want to be successful, I consider this nonnegotiable. I think all authors need a good macro edit, and most (but not all) also need a line editor, copy editor, and proofreader. Expect to pay between $1k and $5k for this, depending on your own skills as an editor. "2) Get a good cover. If you can do it yourself, then you are an amazingly talented person. Very few authors are. Expect to pay $100 to several thousand dollars for cover art, depending. "3) Translate the original edited Word document to the e-book formats (.mobi for Kindle, .epub for everything else). This is tricky, and he simple solutions look tacky. You can hire somebody to do this for a few hundred bucks. Not everyone who says they can do this can actually do this well. format (.epub and .mobi). You can get them here. If you buy them one at a time, they cost $125 apiece. They are MUCH cheaper in bulk. submit your original Word document and they'll format it, but you have to follow their style guide and I'm not convinced that their output files are all that good quality. I am willing to be convinced. But right now, Amazon is still where most of the money is for most e-pubbers. "If all of this sounds complicated, it's because it is, somewhat. This is what traditional publishers do for you at no charge. They take the risk; then they take the reward. If you want to do the above, then you take the risk and you take the reward." "Writers who lack the skills to get published with a traditional publisher are probably not going to do very well by e-pubbing themselves. The reason is that quality sells, and traditional publishers are fairly good at spotting quality. market that most gatekeepers don't understand, then you just might be a good candidate for e-pubbing. You must be able to market yourself effectively, but that's not as hard as people try to make it sound. Most publishers will ask you to do most of the marketing anyway. does and make a major killing, that would cause a tsunami in the publishing world." Now some of you are going to agree, some disagree, and a few may yawn and ignore it. But believe me, the world of publishing is changing rapidly, not only for writers but for readers. So stay tuned for further developments. My thanks to Randy Ingermanson for permission to publish this. Be sure to check out his writing tips and the services he offers at this website. And stay tuned, because he should be back here soon with an announcement that will interest his fans. Thanks to all of you who left a comment on my blog post about Brandilyn Collins' latest novel, Over The Edge. 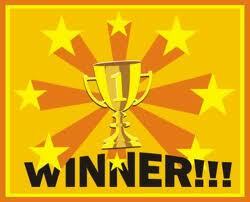 My random number generator has chosen Katie Axelson as the winner of a signed copy of the book. I wish all of you could have won. 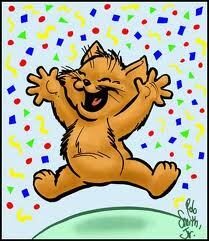 And a special thanks goes to those of you who expressed their liking of my own books along with their comments. Hope you'll all come back tomorrow, when Randy Ingermanson gives his views on e-publishing. If you know anything about Randy, you know he doesn't hold back. Should be interesting. For some reason, recently I've had a song running through my head. I suppose it speaks to my age when I tell you it's a song recorded by the folk rock band, America, in the '70's. It's "This Is For All The Lonely People." Even though this has been sort of a down time for our family, it wasn't for that reason that the song came to me. The melody just stuck in my head, and I let it run around in there because I liked it. But today I decided to look into its background. It wasn't hard to find the lyrics, but during my search I encountered a link to the "Christian lyrics" for the song. Chasing that down, I found that the song was originally written by Dan and Catherine Peek, and that Dan was one of the members of the group, America. His story can be found at his website, and it's worth reading. The lyrics I originally learned began, "This is for all the lonely people, thinkin' that life has passed them by. Don't give up..." The Christian version takes a song that is encouraging and makes it one of assurance that, for those who are searching, Jesus is the answer. 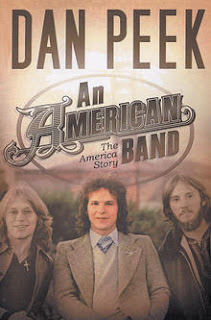 And I couldn't put it better than Dan Peek does in the last line: "You'll never know until you try." Dan Peek took his talent and used it to pass on a Christian message to the world, a message they might otherwise never have heard. That's my dream and my vision for my writing. What's yours? Brandilyn Collins is a best-selling novelist known for her trademark Seatbelt Suspense®. Her books have garnered multiple awards: ACFW Book of the Year (three times), Inspirational Readers' Choice, and Romantic Times Reviewers' Choice. She's been a friend and encourager to me on my own road to writing. When she's not writing, Brandilyn can be found teaching the craft of fiction at writers' conferences. I caught up with her when she was in the Dallas area to teach at one of those conferences, and during our visit she graciously provided a signed copy of her latest book, Over The Edge, for me to give to one of my readers. More about that at the end of this post. But first, a preview of the book. Janessa McNeil's husband, Dr. Brock McNeil, a researcher and professor at Stanford University's Department of Medicine, specializes in tick-borne diseases - especially Lyme. For years he has insisted that Chronic Lyme Disease doesn't exist. Even as patients across the country are getting sicker, the committee Brock chairs is about to announce its latest findings - which will further seal the door shut for Lyme treatment. Brandilyn is serious about the Lyme Wars, because she's been a victim herself. You can read more about her struggle here. May is National Lyme Disease Awareness Month, so it's fitting that this book was released this month. For a chance to win a copy, please comment at the end of this post. (Sorry, but postage costs make me limit this to entrants in the US and Canada). Also, be sure I can contact you, either by providing your email (in this form: Dr R L Mabry at yahoo dot com) or making sure you have a "contact me" tab on your blogger profile. 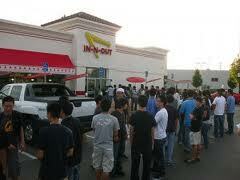 I don't expect lines like the ones we've seen here with the opening of the new In N Out Burgers, but there will be events all over the country Saturday, May 14, at Lifeway Christian Stores. A bunch of authors will be signing their books. Click this link and scroll to the bottom of the page to find the author(s) signing in your area. And for those of you in my vicinity, I'll be signing at the Lifeway in Plano, TX (Preston Road at Park) between 11 and 1. Drop by and say "Hi." The debate will probably rage on forever as to whether reading fiction is a waste of time or a great way to broaden your horizons. Of course, that debate isn't of much interest to most people--except writers, agents, publishers, and booksellers. I haven't read any surveys on this subject lately, although this week I talked with one member of my church's pastoral staff who assured me he would read my novels except he only read non-fiction, another who said he read my first novel despite the fact that he generally only read non-fiction, and a third who had it on his nightstand to read when he got around to it. Hey, don't give me that, "We'll see." I'm a parent. I invented "We'll see." I think another piece of the puzzle was added today when I received a 100 page catalog from a well-known Christian bookseller. Of that 100 pages, three are devoted to the latest releases in Christian fiction, while the rest feature non-fiction books, numerous Bible translations and commentaries, and all the other things stores like this sell. I used to be pretty good at math before computers made it unnecessary to add and subtract, and I'm pretty sure that's three percent of the space of this catalog devoted to fiction. 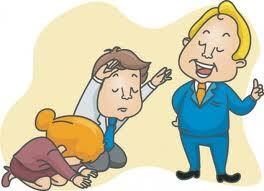 Writers of fiction, especially Christian fiction, does that make you want to go off in a corner and bang your head? I hope not. Admittedly, it tells me that the odds of getting a non-fiction book published are better than those of selling your novel to a royalty-paying publisher, but so long as those chances aren't zero, I'm going to continue. Like most writers, I "can't not write." Readers of this blog, do you read fiction? If so, what type? And if not, why not? No prizes, just the chance to get your opinions off your chest. I'm interested in your responses. In the writing life, which has gradually replaced the "medical life" in my existence, there are lots of occasions to celebrate. Getting an agent. Signing the first contract for publication. Seeing the cover of your book for the first time. The actual publication of that book. A good review. And once you've had the first book published, celebration follows things like completing a manuscript or finishing an editing assignment. And all this brings up the question: how and when should we celebrate? Some of you aren't writers, but you still have occasions when you want to celebrate. A promotion. Completion of a particularly odious task. A wedding. A birth. An anniversary. A win by your favorite sports team. You name it, we'll celebrate it. So how do you go about doing that? Over the course of my ** decades of life (you didn't think I was going to tell, did you? 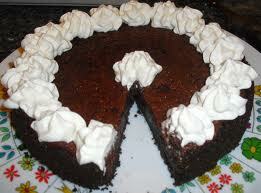 ), I've celebrated a number of times in various ways. I've taken my wife out for dinner or a show. We've gone on a much-needed and long-anticipated vacation. I may even have cracked open a bottle of sparkling grape juice as a substitute for champagne. But time changes those things. Recently two events occurred within a week or two of each other. My third novel was published, and I finished editing my fourth. So how did we celebrate? We had a nice dinner at home (Kay's special recipe of King Ranch chicken, as I recall), settled into our recliners, and watch a baseball game. And you know what? It was just as good as any of the other celebrations I've experienced. Which brings me to the point of this post. Celebrations don't take place in a five star restaurant or on a cruise ship or Pacific island. They take place in the heart. Don't you have something to celebrate today? It's happened again! My publisher made my second novel, Medical Error, available as a free download on several sites. And then the reviews started coming in, mainly from people who downloaded it not realizing its content. 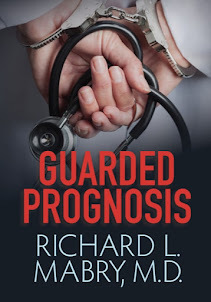 I write novels of medical suspense, but it's also Christian fiction. I make no apology that, although there are no conversion scenes or overt altar calls, the work is written from a Christian worldview. But there are people out there who get incensed that someone would dare produce something like that. Apparently when someone downloads a manuscript to their e-reader and pays nothing for it, they get just as incensed as though they'd shelled out almost $10 for it when it doesn't turn out to be what they wanted. And, as a result, the novel has garnered a number of one and two star reviews. Unfortunately, this drags down my overall review status. This is one of the problems I see with e-books, or (for that matter) buying a printed book online. With the exception of a few sites that let you "look inside" or even read the first chapter, you have no idea of what you're getting beyond the blurb, an idea of what the author normally writes (if it's not a first novel), and some reviews. In a book store, you can pull the book from the shelf, thumb through it, and make a decision. Score one more for the world of print books. I know authors aren't supposed to read their reviews, but I can't help being frustrated when something like this happens. If enough people who like the book post reviews, they dilute the effect of the negative reviews. But most people don't take the five minutes required to post them. I don't have an answer, but I will say that it makes me cringe when my publisher offers a book of mine as a free download. Because I know what's coming next. What do you think? Kay and I have come to enjoy the TV show, Shark Tank, in which millionaire/billionaire investors hear presentations from people seeking backing for their enterprises. Recently, Mark Cuban was a guest "shark" on the show, and he actually said something that was quite profound. One of the people seeking an investor's assistance with their idea was a woman who absolutely was so energized by her idea that she would brook no criticism of it. Finally, after she argued some point by saying, "I already know that," Cuban said, "Sometimes it's the things we already know that keep us from learning anything." That stopped me in my tracks. How many times have I thought, "I don't need to read that...or hear that...or study that...or whatever, because I already know it." 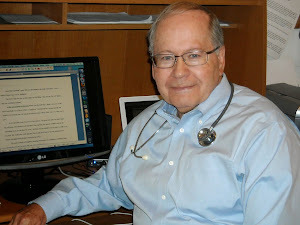 Yet as a physician, I never attended a medical course, even those I taught, without coming away with a pearl of wisdom. As a writer, I've never been to a writing conference, even those I taught, without coming away with a pearl of wisdom. I could move beyond the things I thought I already knew to open my mind to something new. Maybe these are words that we should remember. I know I'm going to try. Sometimes it's the things we already know that keep us from learning anything. Thanks, Mark Cuban.